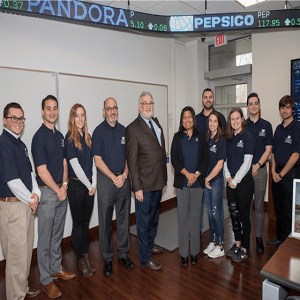 WEST LONG BRANCH, N.J. (Feb. 28, 2017) – Monmouth University announced today the retirement of President Paul R. Brown, Ph. 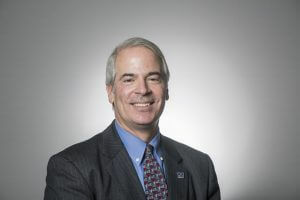 D. and the appointment of former Vice President and General Counsel Grey J. Dimenna to serve as Interim President during the search for Brown’s successor. The announcement was made by Chair of the Board of Trustees Henry D. Mercer. 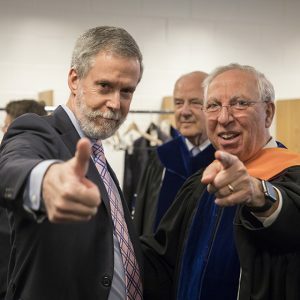 Brown said he intends to use his sabbatical to explore how melding the liberal arts and business disciplines can better prepare students as they launch and pursue their careers – an area of passion to him for more than 30 years. In undertaking this important initiative, Brown draws on his extensive experience in higher education and his broad knowledge of business, he said.